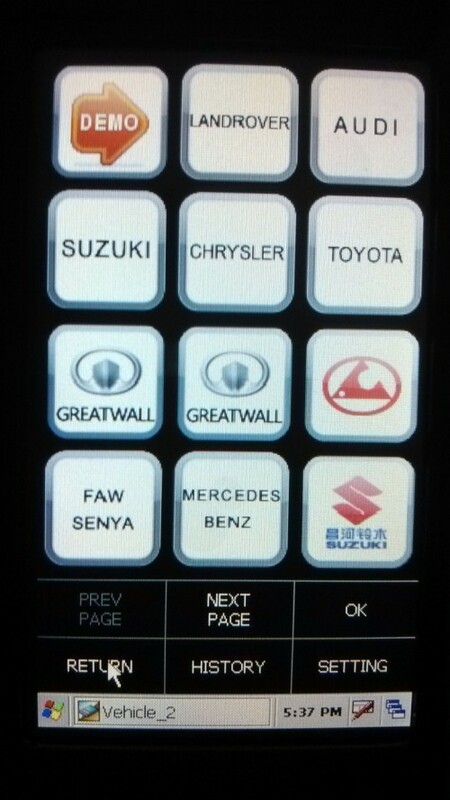 Language : Multi-language , English , Spanish , Germany , French , Portuguese , Russian , Chinese , Italian etc . Times : It is for One time update , pls Note !!! When you make the order , pls give us the smartbox serial number , and tell us which language do you want ,also give us your email address . We will send the update to you during 1-2 working days via email .you copy the GAG folder to your memory card, then you can use the lastest software for your X431 device . When you get the software , you check first , If have any problem , pls contact us immdiatly , we will deal with you . After check , pls comfirm the order recipt and give us a positive feedback , thank you ! For the software send via email , not via shipping , so the tracking number is not real , It is import for you comfirm the order reciep , pls be mind ! thank you ! 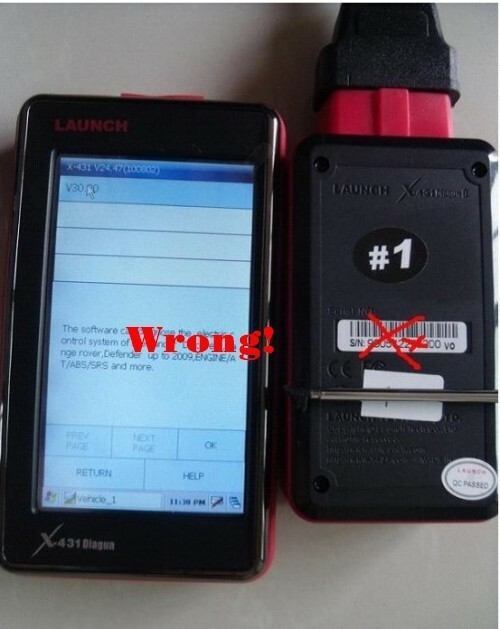 How to check the SN of your X431 device? Very Important! 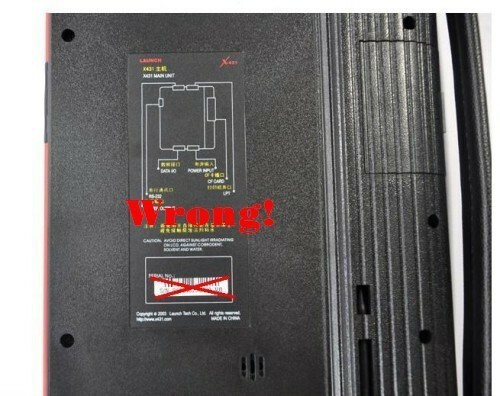 Pls don't look the SN lable of X431,it is wrong! 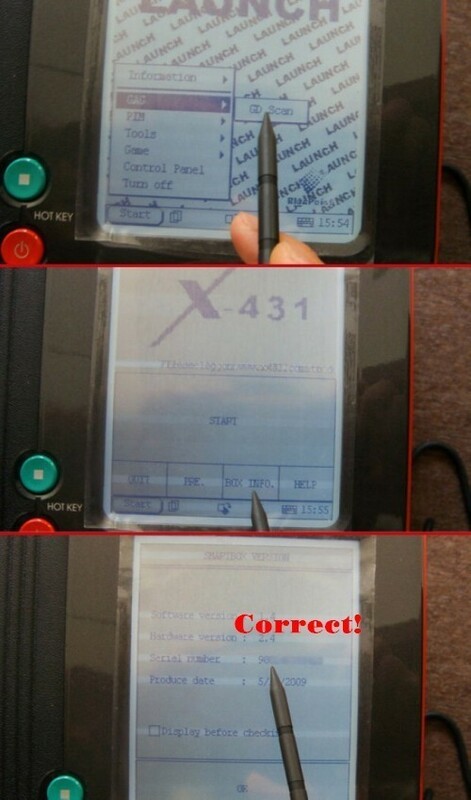 1).Power up your X431 device. 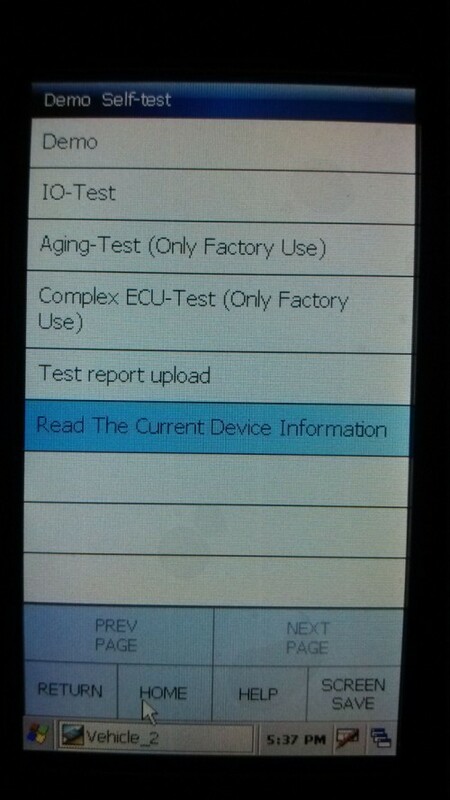 3).Clikc the "Read The Current Device Information"